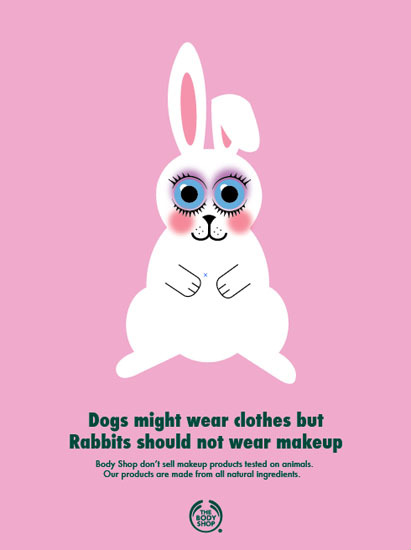 Dogs might wear clothes but Rabbits should not wear makeup. 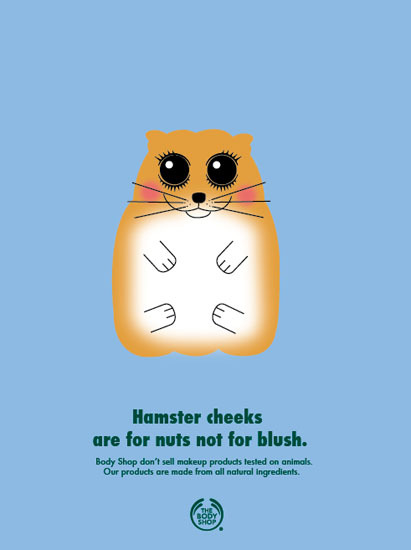 Body shop don’t sell makeup products tested on animals. Our products are madefrom all natural ingredients. The breif was to remind people of what the body shop brandstands for. which the company stands for, in a colourful and innocent way. Our products are made from all natural ingredients. ingredients because we think about what ends up in your drain. 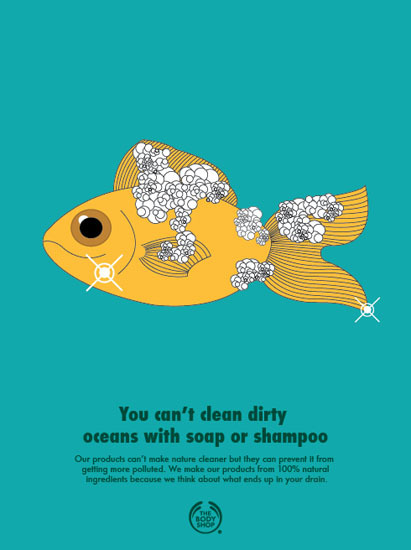 25/08/2012 | Filed under Advertising, Graphic design, Illustration, See all.